A client in Los Angeles wanted a pair of RCA BA-71 preamps racked with the option of using them to run some stereo tracks through. 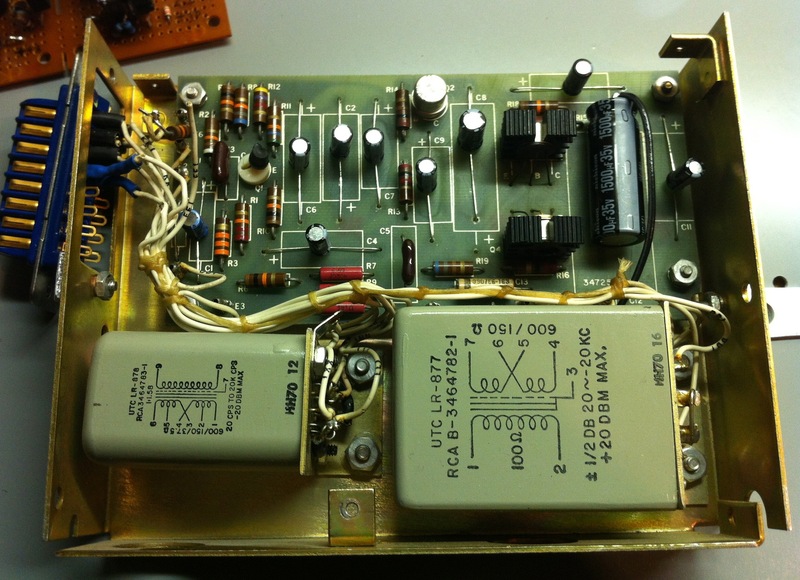 These use the same circuit as the BA-31 (minus power supply) and the BA-72. I had a few BA-72A modules in stock and came up with this single space rack mount solution. First the modules were tested, re-capped and tested again. 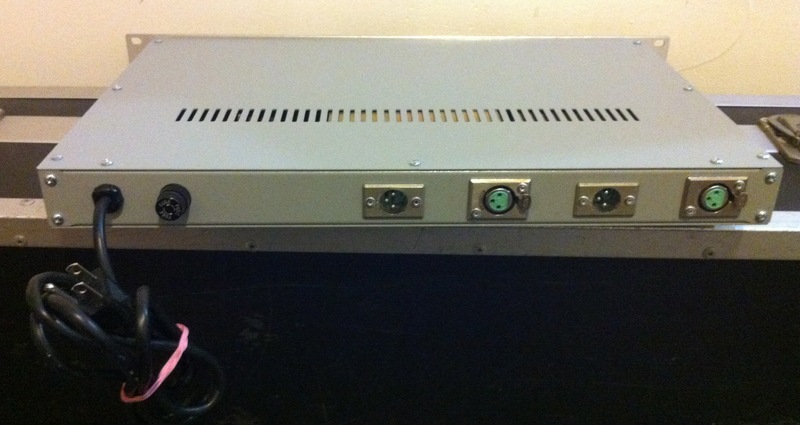 Then I built a power supply with 30 VDC for the preamps and 48 VDC phantom power. 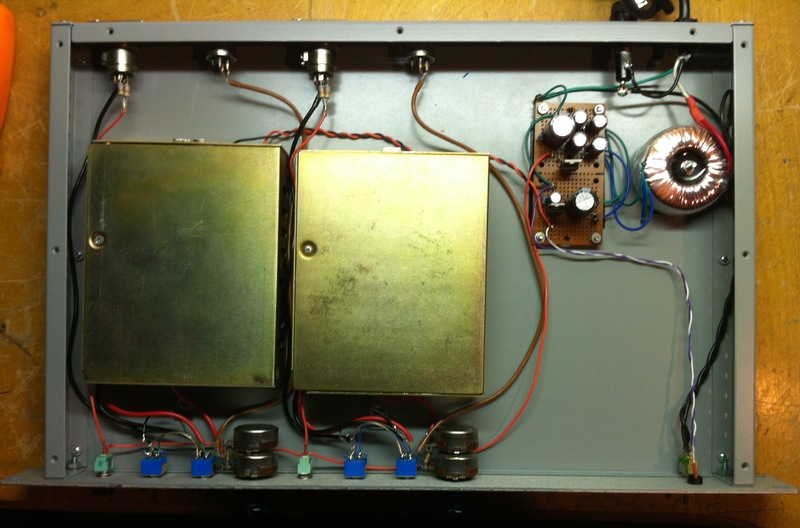 The modules were wired with a switchable 20dB pad as well as a switch to change the input transformer from 150 ohms to 600 ohms. 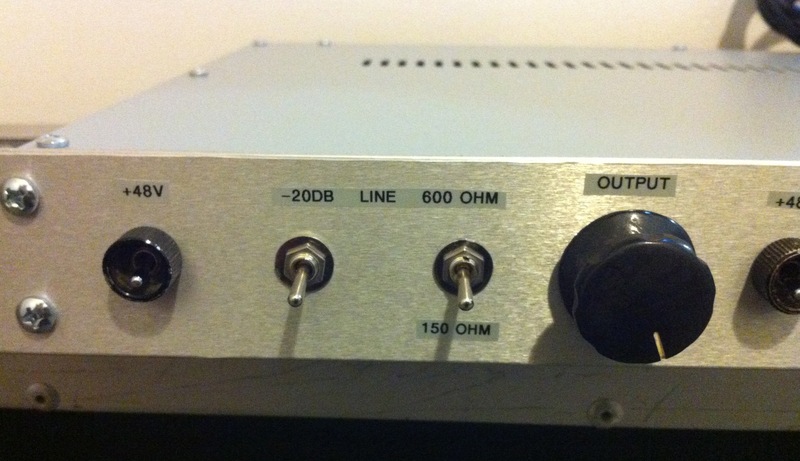 With both the pad and 600 ohm setting, the preamps can take up to 0dBm input without clipping. 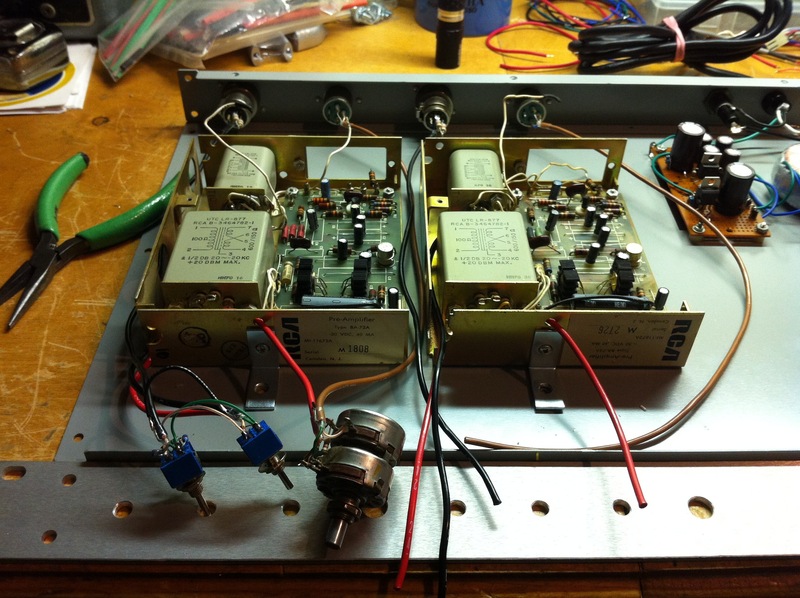 Of course the output is +20dBm at that point, so I added 600 ohm attenuators to the output. Everything fit nicely in the single rack unit and I put collars around the +48 switches, original RCA knobs on the outputs, and a black and silver RCA “meatball” logo on the front panel for good measure!